“When you first saw me in the summer I could barely do more than a short walk. I have made progress and am feeling extremely well on the Low Carb diet. When I was first told I had raised HbA1c, I just couldn’t understand it, as I was not particularly overweight. I was, in fact, following what I believed to be a healthy diet, with a good mix of carbohydrates and the essential food groups. The past few months have been a massive learning process for me, and with a little bit of trial and error, I have now reached what I think is a sustainable lifestyle which is both healthier and makes me feel fantastic. The first thing that I was glad to be rid of after starting a low carb diet were the hunger pangs and headaches I used to suffer mid-morning despite having what I thought was a hearty breakfast of porridge with bananas. I was often ‘hangry’ and having to refuel on what were invariably more carbs throughout the day. I’m pleased to say that such feelings are now a thing of the past and I rarely feel hungry. My HbA1c is now well within the ‘normal’ range (37), and I have lost a stone and a half. Since Christmas I have also joined two athletics clubs, and in the past month have competed in races at 60 m and 200m at the English Institute of Sport Sheffield for people over 35. I with my new-found energy, I intend to compete in more races over the summer. I’m training with young people younger than my own children and doing the exact same drills, which I would have thought well-nigh impossible six months ago. In turn, I think the low carb diet has either directly or indirectly improved my sleep, increased my energy levels, boosted moods and generally helped me to feel better all-round. I also have found it amazing to hear the accounts from those attending your meetings who have previously been prescribed lots of medication who have come off most or all of it within literally weeks despite having been on that same medication for years and being told by health professionals that they will need to remain on them for the rest of their lives. These people are not in any way health zealots, but rather ordinary people who are delighted with the benefits of the low carb diets they are now following. I find their stories an absolute inspiration”. As well as 2-3pm, there will be a group after work for people who would love to follow the programme, but cannot come earlier. It will be at St Thomas’ Church, Stockton Heath (not the Church hall) and we will cover all the basics of “low carb/real food” eating and how you can motivate yourself to achieve your hopes and dreams. It is suitable for anyone who wishes to improve their lifestyle, in order to reverse diabetes, lose weight or come off medication. It is especially useful if you have tried and failed with other methods, like calorie counting, Slimming World, or Weight Watchers. There is no need to book- just come along and bring your friends. Alcohol can be one reason why people fail to achieve their goals so here’s hoping this piece will help you…. Alcohol could be seen to be one of the hardest areas in lifestyle change. but is it? What does it mean to you? Do you love your drink after work, or when cooking your evening meal? 80% of adults in the UK drink alcohol, so if you do, do you think you should cut it down or out? It is completely up to you and may not be as hard as you think. Recently, a woman told me she was very annoyed she could not stick to 2 drinks a night, despite fully intending to at the beginning of many evenings. I recommended www.soberistas.com which is a super support system for people wanting to give up. It is much more life affirming and less stark than AA, though AA has helped many people and has its’ fans. The trouble with AA is that people perceive it is for alcoholics, whereas this online support group is for people who would like to cut alcohol down or out, and no label is needed for joining or reading. She came back to me a week later and said she had not only given up, but also felt full of joy at the idea of never drinking again! She had done this following reading Jason Vales book- ‘How to give up drink easily’, as well as talking to people on the Soberistas site. Have a look and try them both out if you are interested, and let me know your story of success. Do you have processed food addiction? Cereal or toast for breakfast, a wholemeal sandwich for lunch and maybe a chocolate bar as a treat and a home cooked tea/dinner, preceded by 2 pieces of toast while I cooked it, and then my meal itself with pasta, potatoes or rice. Sometimes I would have a few biscuits in the morning, and often some crisps or nuts with drinks if someone came round for dinner (which was not often). My meals were always home cooked, and I would have condiments with them, without thinking about it. I especially loved mint sauce with lamb, and horseradish sauce with beef. I didn’t think of myself as someone who had processed food addiction. I thought I had a healthy diet because I home cooked my main meals, and ate whole-wheat bread, whole-wheat cereal and whole-wheat pasta (if the children didn’t complain too much!). I tried to balance my eating with an active lifestyle. I played golf and often had a cereal bar on the way round, with a can of diet cola. I climbed mountains and took sandwiches and cake for a meal in the middle of the climb. I used to eat like this: cereal or toast for breakfast, a wholemeal sandwich for lunch and maybe a chocolate bar as a treat and a home cooked tea/dinner, preceded by 2 pieces of toast while I cooked it, and then my meal itself with pasta, potatoes or rice. Sometimes I would have a few biscuits in the morning, and often some crisps or nuts with drinks if someone came round for dinner. My meals were always home cooked, and I would have condiments with them, without thinking about it. I especially loved mint sauce with lamb, and horseradish sauce with beef. I didn’t think of myself as someone who had processed food addiction. I thought I had a healthy diet because I home cooked my main meals, and ate whole-wheat bread, whole-wheat cereal and whole-wheat pasta (if the children didn’t complain too much!). I tried to balance my eating with an active lifestyle. I played golf and often had a cereal bar on the way round, with a can of diet cola. I climbed mountains and took sandwiches and cake as a meal in the middle of the climb. I didn’t mention alcohol, which is a processed product and should be considered as something that is very ‘more-ish’ and stimulates your appetite to eat more processed food, and drink more of itself! It also reduces your inhibitions in relation to eating more…; you’ve guessed it and I don’t need to say it. My life was punctuated by processed food, but I never would have thought I had a processed food addiction. I even made my own processed food with white flour and sugar! I never thought I could have given it up, but I did, as explained on the front page of this website. I enjoy my food a lot now, eat it with relish and it gives me great pleasure, and I no longer feel drawn to the processed stuff. Think about how you are going to do it, and believe me when I say 4 years on, that it is worth it, and the cravings left long ago. It probably seems very counterintuitive that eating more fat can actually help you lose weight. Traditional advice has always been to eat low fat and exercise more. As many people have discovered, the culprit may well be the traditional advice we’ve been given. What we are often told is “healthy” are often foods that are causing us to stay fat and suffer chronic health problems. That’s why websites like Fat is My Friend are so amazing. They offer a better way of enjoying food without compromising your health. Luckily, if you’ve been following Dr. Jo’s recommendations for a while, then you might already be eating a ketogenic diet without realizing it. But in this post, I’ll explain more about what a ketogenic diet is, what you eat, what you don’t eat, how it’s potentially different from LCHF or Aktins, and explain why fat isn’t something you should be afraid of. The traditional ketogenic diet originated around 100 years ago as an effective method of treating kids with epilepsy. They found that the diet increased levels of ketone bodies in the children and that this increase corresponded to decreased epileptic seizures. Back then the diet wasn’t all that appetizing. You often fasted and drank high fat foods like cream. But over the years, the diet has been dramatically modified so that you can still gain the benefits of keto while eating delicious foods. As you probably have guessed, a ketogenic diet is considered a high fat diet. But you don’t just eat fat. You also eat a fair amount of protein (especially if you’re trying to lose weight) and a small amount of carbohydrates (preferably in the form of whole foods like green leafy vegetables). That means you avoid foods high in carbohydrates like chips, pasta, bread, and cakes. What exactly do you eat on a ketogenic diet? 1. Fish and seafood – these are generally high in nutrients, high in good fats, and have pretty much no carbohydrates. Oysters are especially good if you can get them. But in the UK, smoked salmon and canned sardines are excellent options that you can get in most stores. 2. Meats – get high quality meats if you can and go for fattier cuts. Dr. Jo has a great roast lamb recipe here you should try. 3. Eggs – these are also high in good fats and very nutritious. They’re perfect for fast and easy breakfasts. 4. 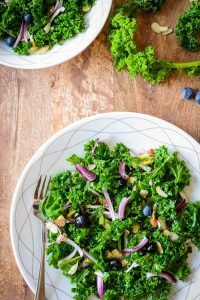 Leafy green vegetables – while many starchy vegetables are off limits on a ketogenic diet because they contain too many carbohydrates, leafy green vegetables are encouraged. They’re a great source of essential vitamins and minerals, fiber, and can help make your meals more interesting. 5. Organ meats like liver – beef liver is highly nutrient dense. That means you’ll get more vitamins and minerals per calorie you take in than most foods. If you dislike the taste of liver, then try hiding some in burger meat or stews. 6. Berries – don’t go overboard with fruits as they are pretty high in sugars. But adding a handful of berries each day to your diet can add a ton of flavor to various dishes. 7. Healthy fats – coconut oil, ghee, tallow, lard, olive oil, avocado oil are all excellent options. 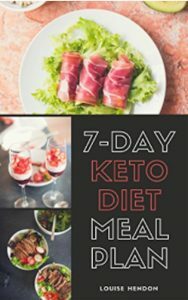 For more keto food ideas, check out our free 7-day keto meal plan here. How is this different to Atkins or LCHF? The main difference is simply one of focus. In practice, there’s often very little difference. While Atkins focuses on eating lower carbs and LCHF focuses on eating more fat and less carbs, the idea behind Keto is to eat a diet that increases your blood ketone levels. A diet high in fat, moderate in protein, and low in carbs (as Dr. Jo suggests) is perfect for increasing your blood ketone levels. Many people on Atkins or LCHF are probably experiencing blood ketone levels that put them into “nutritional ketosis” already. Many Keto proponents, like myself, also heavily emphasize eating real foods and focusing on eating nutrient-dense foods (like leafy green vegetables, seafood, and organ meats). Why Does Eating Keto Help You Lose Weight? The exact mechanism for why a ketogenic diet works is still very much debated. Is it just the high ketone levels, the high fat diet, the low carb aspect, hunger suppression, a combination of these, or some other mechanism we’re not aware of yet? Whatever the exact reason, it seems that Keto diets work well for weight loss. And people like Jimmy Moore have found significant weight loss with the diet. 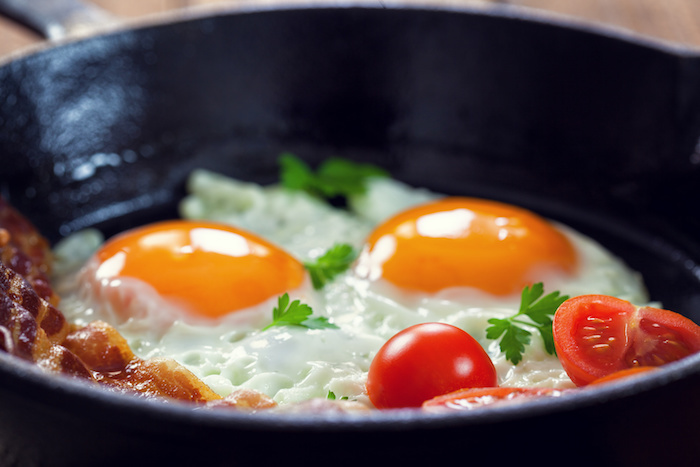 The traditional view, which many people still believe, is that if you eat foods high in cholesterol and saturated fats (like eating eggs and bacon) will cause you to have higher cholesterol and thereby cause heart disease. However, recent studies are slowly debunking this traditional view. A 2009 review concluded that, “It is reasonable to conclude that there is little evidence supporting a major association between dietary cholesterol and CHD [coronary heart disease] risk in the general population.” Hyperresponders and type 2 diabetics may react differently. Another study found that the ketogenic diet was beneficial even in the long-term for overweight people with high cholesterol. That study was conducted for 56 weeks. While you definitely don’t need to go overboard and stuff your food with fats unnecessarily, you also don’t need to fear fats. Choose fattier cuts of meat, cook your vegetables in delicious fats like lard, and add higher quality extra virgin olive oil to your salads. Look into the ketogenic diet if you’re interested in learning more. And listen to Dr. Jo! To get more active as part of a change of lifestyle, I suggest chair or floor based exercise like yoga first, and often second, because it is great for your total health. With that in mind, I was delighted to welcome Dr Hemma Mistry to our first low carb meeting at Stockton Heath, and to hear that she is trained as a health coach and yoga instructor. At the same time, I was sent this extremely helpful guest blog by health blogger Cassie on how to choose a yoga class and instructor, in your city, or town. Many thanks for this great article, Cassie! Time and again, research shows that true health includes physical health, mental health and spiritual health. All three aspects affect each other and are worth addressing. If you’ve spent any time thinking about the best way to do this, you’ve probably considered taking up yoga. If so, you’re on the right track. The most well-known physical benefits of yoga are increased strength, tone and flexibility. However, good yoga instruction also focuses on teaching the discipline of concentration, which leads to stress reduction. Less stress means a healthier emotional life, better relationships and a clearer mind. Taking up yoga can literally change your life. 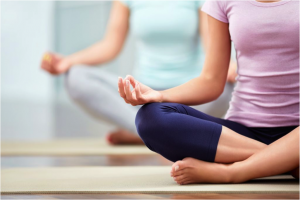 Before you run out and sign up for the first yoga class you find, take some time to learn a little more about the different kinds of yoga available, the difference between a class offered at your local gym and a membership at a yoga studio and how to find the most experienced and trained yoga instructor available in your area. Most cities will offer more than one way to engage in the world of yoga. Below, we’ve detailed some steps you can take to find the best class, instructor and medium available to you wherever you’re located. An obvious first step is to hop online and do a search of yoga classes in your area. You can search for classes by country, state or city using Yoga Finder, an easy-to-use yoga-specific online search tool. You can also do a basic Google search for classes or to locate yoga workshops or retreats. Apps are an excellent way to track down nearby classes. In fact, some apps even allow you to book classes right from the app. The following apps will make finding a quality yoga teacher quick and convenient. •	ClassPass is a membership-based app that gets you into the best classes and gyms near you. •	Lymber allows you to search and book a class from a large inventory in your area. •	Yoga Trail keeps track of classes and events held by your chosen studios and instructors so you don’t have to. A lot of yoga studios offer free classes to new students who want to try out a class. Sometimes you can even get up to a week of free classes so you really get a chance to see what a particular studio offers. This is especially helpful when you’re still learning about the different kinds of yoga. Some studios may offer only one kind of yoga while others will offer a wider variety. If you’re new to the world of yoga, you may want to start out with a studio that offers a variety of yoga styles so you can figure out what you like and what you don’t. After you’ve spent some time with the various methods, you’ll be better equipped to commit to a particular style. 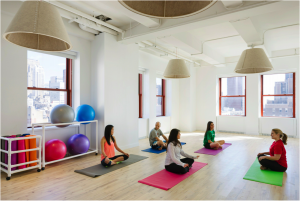 Most gyms offer a variety of group classes, including yoga. If you already have a membership with a local gym, give them a call and find out how their yoga instructors are trained and if they have certain certifications. If you aren’t yet a member, see if they offer a trial period that will allow you to take a class or two. This will give you a chance to explore the different instructors, their style and the kind of yoga they teach. If you can’t find a decent class in your area or you just aren’t ready to make the financial investment, consider YouTube. As you know, YouTube is a treasure trove of videos that can teach anyone pretty much anything. Yoga may feel trendy here in the West, but the truth is that in the Eastern world, it has been around for hundreds, if not thousands, of years. 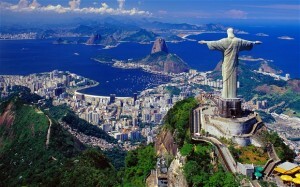 The distance separating East and West means some of the world’s best yoga instructors can only be accessed online. Thanks to online spaces like YouTube, most of these channels are only a click away. However, depending on where you’re located (and where the yoga instructor is located), you may occasionally run up against the frustrating practice of geo-blocking. This is exactly what it sounds like; your access is blocked because of location. Luckily, you can still access these world-class instructors no matter where you are with a Virtual Private Network (VPN). A VPN will mask your location and connect you to a remote server that isn’t geo-blocked. Aside from world-class instructors, the great thing about hopping on the web for yoga instruction is that you’ll find videos for pretty much every level and style. Don’t wait. Practicing yoga is one of the best decisions you can make for yourself. You’ll be stronger, with a clear mind and an open heart. What better way to combat negativity than with focus and strength? There’s no question you’ll be healthier for it. You never know; if you find the right class and the right instructor, you just might find that you’re happier too. About the Author: Cassie is a health and technology blogger whose many years as a nurse have given her a special passion for helping people to get healthy and stay healthy. Cassie loves everything about yoga, from the poses to the community, to how great she feels after every session. She loves sharing her experiences and is known for converting yoga skeptics into full-fledged yoga fanatics. Carbohydrates are in many foods we eat and are classified into sugars and starches. When I started on this low carb way of life I found it a bit confusing. What level of carbohydrate was needed? so what was to stop me choosing zero? You don’t you need carbs for energy( they are not necessary as your body can make glucose) so why do dietitians advise them? Is the advice itself just a habit? People eat a lot of carbohydrate containing foods like bread, cakes, cereal, fruit and vegetables, and regard them as healthy in moderation, but as you know they are habit forming. I was 50 years of age but I still found it hard to believe that staple everyday foods like this could harm me in any way. It was my sister’s and, separately, a patient’s, marvelous recovery from a rare arthritic disorder that set me thinking. Why would they get so much better just by cutting out the starches from their food? The theory is to do with bacteria in the gut feeding off starches and causing an overgrowth of a bug called klebsiella, which then triggers a reaction whereby the body starts to attack itself. The particular diet they used is called the London AS diet. Then Dr David Perlmutter’s book Grain Brain set me thinking about whether sugars and starches could lead to diabetes, dementia and other chronic inflammatory conditions. This could happen through the insulin hormone getting too high, too often, causing weight to go up and causing Type 2 diabetes. Then I had the surprise of seeing the zerocarbers on www.zerocarbzen.com, www.myzerocarblife.com and the Principia Carnivora Facebook group. One of these zerocarbers was a retired doctor who wrote to me from the USA and told me about his zerocarb journey- and very well he did too. Obesity and hypertension resolved and off all his medication. Many of these people had morbid obesity and through a zerocarb lifestyle became a normal weight and were able to stop all their medication. The Masai and the Inuit people were zero carbers and while many dietitians say that no one can stick to zero carb diets, I am told that 10-20k people in the USA do exactly that today. How can you decide? It starts with what you want to achieve and what you like to eat. Would you like to write down your goals? I am a keen exerciser and feel I need to eat some carbs. If so what is the minimum you can get away with? Decide how low you want to go and whether you reduce them gradually or all of a sudden. My plan, which came from Dr Perlmutter is flexible, and you could do it with or without any grains, sweet fruit, or starchy vegetables if you wanted quicker results. If you want to reduce your risk of diabetes and dementia, Dr Perlmutter suggests 30g a day is about right. I got too thin after 4 months on this so decided to raise it a little but I still eat under 50g a day. Butter Bob Briggs and Jeff Cyr eat the lowest level they need to feel well, keep their weight down,their blood glucose normal and keep them off medication. Once you achieve your goal you can decide if your want to raise your carb level a little and see if that still works for you. I’m a conventional GP and I’ve been practising for 29 years. I would never want you to think I was anti establishment. I worked in a five partner practice for 23 years, have been the chair of the Professional Executive Committee of the Primary Care Trust and I was a GP trainer. I’m married and am mother to three grown up children. I’m also the named GP for Safeguarding children for an area of 300,000 people and 42 practices. So what makes me so sceptical about the current dietary advice, that I am now a founder member a charity the Public Health Collaboration that campaigns against it? The simple reason is that I see it does not work for the people who need it to work. It’s fine if you are healthy and slim and on no medication, but once you are overweight, the advice to base your meals on starchy carbohohydrates will tend to make you get fatter and fatter. Then you may eventually need drugs for diabetes, blood pressure, arthritis, reflux and perhaps even gout. Your body is not able to use up that carbohydrate for energy, and cleverly changes it to fat to minimise the harm the resultant sugars could do to your body. In addition, your cells become less and less sensitive to insulin as time goes on and this causes you to gain more weight. By accident I discovered that if an overweight person cuts out processed starches and sugars and sticks to real food with a low natural sugar level, they get thinner, and may even become the lightest weight they have ever been as an adult. Try it and see. Look at the food list on my site. This email speaks for itself! I had an appointment with Dr Reynolds at Padgate this morning and he gave me your website address and suggested I drop you a line regarding my and my wife’s success with LCHF. I saw you around January 2015 as I had a severe post-op infection after total knee replacement. You advised me of the potential benefits of LCHF in resisting infection and directed me to the dietdoctor.com website. I studied this and other links for some time and as both my wife and I have for ages wanted to lose weight (and tried several methods with no success!) we agreed that we had nothing to lose; as we were going 5* all-inclusive to Mexico in Spring we decided the diet would start in May on our return. I used the time studying blogs, websites and bought several recipe books to plan our MO. My wife, it is fair to say, was extremely cynical about losing weight by eating butter, cream, fats etc., but agreed to give it a go given the mass of evidence that it worked and the positive effects on health. We were also starting to see the myths regarding government nutritional advice which has led to the world obesity problem. Things started to make sense. We commenced the diet end-May 2015 – I was 14st 4lbs, Chris was 12st 8lbs. We were very strict and limited carb intake to around or under 20gms per day. I continued to use Canderel and due to food availability sometimes at work I did have the occasional bread sandwich (our site chef did tire of making me omelettes!). We shunned wine totally, (red was my tipple, Chris was white) but did allow ourselves the odd Gin & Slim Line. By autumn I had lost 3st and was down to 11st 5lbs, Chris had lost 2st. From a 38″ tight waist I now struggle to keep up 34″ and am probably nearer a 32″; Chris has gone from size 18 to 14. I now fluctuate by a couple of pounds as I do allow myself a little bread, but Chris is more rigid. I have worked at my current site for 13 years and people couldn’t believe how well I looked. Strangely, when I extolled the virtues of LCHF nobody had heard of it (although they had heard of Atkins). I haven’t tried to explain the technicalities of LCHF to anybody – I have just let them witness the results and directed them to Diet Doctor. There is a down side – all the new summer clothes I had for Mexico had to be charity-bagged together with winter coats etc. etc.and the same for Chris’s clothes -cost us a fortune but at least charity was a winner!! Apart from weight loss we feel so much better and healthier. got a new pup in June – we can now walk miles with her. I hope you find our experience interesting and we would be more than happy to share this in helping you promote what we find to be the best lifestyle change we have ever made. I would also like to thank you for helping us to discover LCHF. Please contact us if you require any more specific info.